On September 3 violinist Lorna Wood returns to A Little Lunch Music with pianist Ksenia Kurenysheva for a free concert from noon to 1 pm. The program will feature a posthumously published Sonatina by Franz Schubert, selections from Robert Schumann’s Symphonic Etudes (piano solo), and music by John Williams from the film Schindler’s List. The concert will be in the museum’s auditorium and is being sponsored by anonymous friends of the series. The café menu is available online. 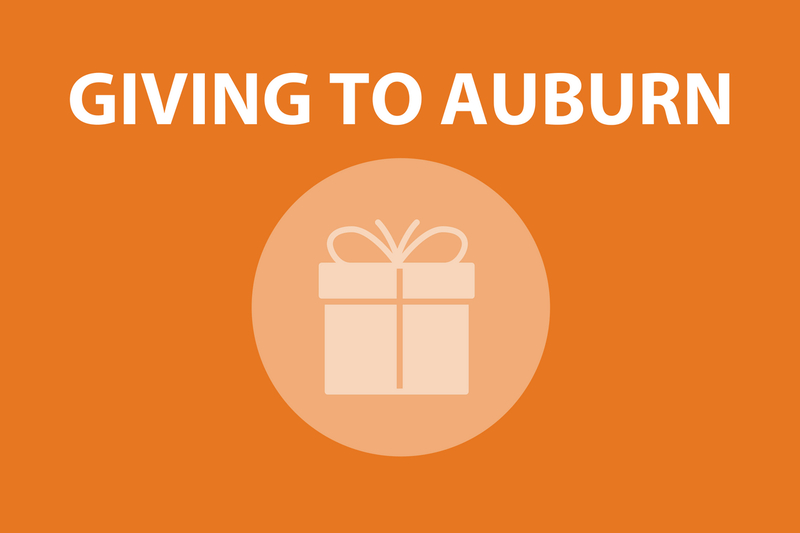 Based in Auburn, Alabama, Lorna Wood is concertmaster of the LaGrange Symphony and the Auburn Community Orchestra, and a member of the Columbus Symphony. In addition to having maintained her own violin and viola studio in Auburn since 1994, she teaches in the Montgomery Music Project and has taught in the Columbus State University Schwob School of Music’s Young Artist Program and LaGrange’s Ovation Music Camp. 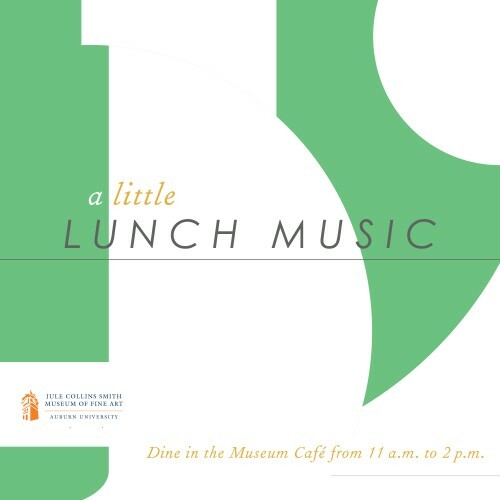 Lorna enjoys playing programs for the A Little Lunch Music series at the Jule Collins Smith Museum of Fine Art and has soloed with the Auburn Orchestra. She received her B. M. in violin performance from Oberlin Conservatory, where she studied with Marilyn MacDonald. She has a Ph. D. in English from Yale and has published poetry, fiction, and scholarly essays. 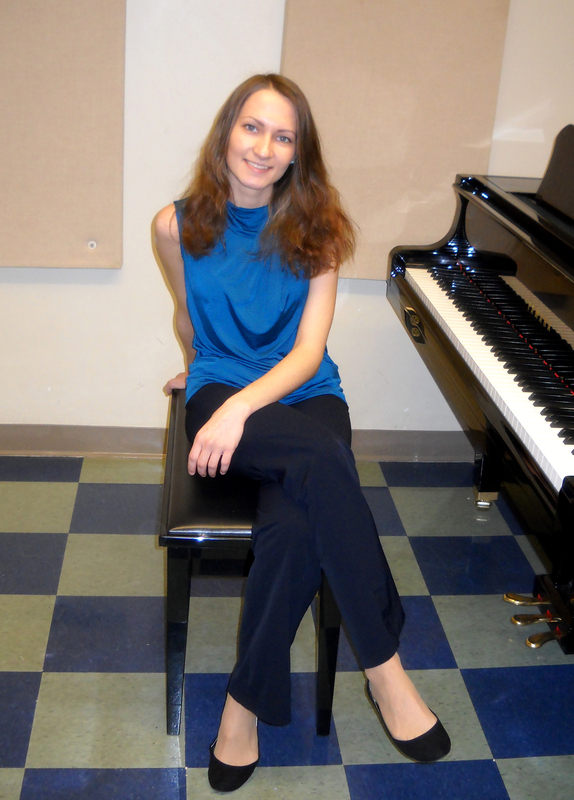 Moscow-born pianist Ksenia Kurenysheva currently studies with Alexander Kobrin as a Masters-Degree student at Columbus State University’s Schwob School of Music where she also works as a collaborative pianist. Since graduating from the Moscow Conservatoire College in 2006 and from the Gnessins State Music Academy in 2012, Ksenia has won the Vincenzo Scaramuzzi International Music Competition (Italy), the Benditsky Regional Music Competition (Russia), and the Russian Open Music Competition of young performing musicians. She was a 2001 grant holder of the Ministry of Culture of the Russian Federation and has participated in the International Keyboard Institute and Festival in New York. Most recently Ksenia was an alternate in the Young Artist Category of Georgia’s Music Teachers’ National Association Competition in 2012, won the Concerti Competition at the Schwob School of Music in 2013, and in 2014 received an “Outstanding performance” recognition in the Atlanta Music Teachers Association’s Romantic Music competition.